For pet parents, their dog’s health is tantamount to their own wellbeing. They want to give their best just to make sure that their animal friends are getting the amount of nutrients they need to be happy, healthy, and smart. Supplementing their dog’s diet with multivitamins is an option they see to achieve their goals. Is it worth it? Are supplements worth the money? Or is it unnecessary expense that is not getting anywhere? 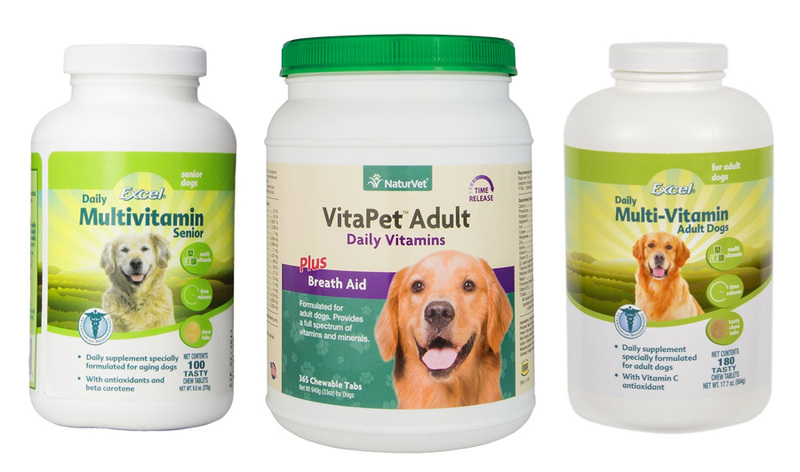 The biggest question here is whether to supplement your dog with multivitamins or not? Is it helpful to invest on a pill or was it just a hype, a waste of money? Just like in the case of humans, there is no need for supplements if your dogs are healthy enough and are getting as much nutrients from food on a regular basis. Healthy dogs sans the need for multivitamins because there won’t be particular demands that would actually necessitate it. Unhealthy dogs with special needs might require a supplement but it is best to consult a veterinarian before actually spending on it. Animal doctors might have already prescribed a special diet to meet the requirements. Supplementing in this case may cause more harm than good. There are different multivitamin formulations that are made available for dogs. Mostly, they are intended to look after your pet friend’s overall wellness. Other times, vitamin supplements that could perk up your dog’s hair and coat, strengthen joints, reduce symptoms of allergies, and improve digestion can be used to meet specific needs. Some of the same ingredients in multivitamins for humans are also used for dogs. Fish oil, Vitamin C, Vitamin E, and probiotics are popular ingredients that can be found on dog supplements. It is not for you as the pet owner to decide if you could supplement your dogs with multivitamins or not. You need professional advice to give you light on the matter. Even if your intention was only to improve your dog’s coat and hair, you need a vet’s approval. Too much of any ingredient could be harmful instead of helpful. When it comes to supplementing dogs with vitamin pills, those two things are separated only by a hairline. Unlike multivitamins for humans, there are very little studies conducted about the possible effect of dietary supplements for dogs. You would not want to expose your dog to health hazards that every pill might come with. Remember that your goal is to provide your fur friend optimal heath. You must be sure enough that adding an extraordinary ingredient to their diet is approved and agreed upon by a veterinarian. Experts are seeing this clamor for supplementing dogs’ diets as part of humanization. Pet parents treat their beloved dogs as their equal. They dress them up, they send them to pet salons such as PetSmart for sprucing up purposes, and they try to give them as much to enjoy the same quality lifestyle that they have. This trend that made pet vitamins create a buzz is derived from the same principle. If humans can benefit from supplementing with a health pill, they are sure their dogs could get some help, too. But dogs are not like humans. Since dogs do not need to be forced to get their recommended supply of nutrients from fruits and vegetables, they might not have room left for supplements. Commercial dog food is readily packed with complete nutritional value to meet their requirements at different phases of life so there will be no need to supplement. If you insist, bring your dog to your veterinarian and ask. Otherwise, you will just be wasting some hard earned dollars by going ahead without professional advice. It is not at all wrong to treat your dogs with utmost love and care. But when you overdo the whole thing, you will be wasting your hard earned dollars for nothing or even for something that could cause harm to your dog’s health. It might be a better idea to spend your money on dog treats, toys, or comfort essentials instead of supplementing their diet with something that they are already supplied sufficiently. Once you made sure that they get the complete and balanced diet daily, you will have nothing more to think about. But of course, you still need to keep their safety and security properly covered to ensure a healthy and long life. There is nothing wrong about treating dogs like your babies. Just don’t go overboard. You have to know your limits and that of your pet as well. Do not push your pet too far because you might be hitting on something that does not encourage a healthy growth. Supplementing your dog’s diet with multivitamins lie on that premise. An oversupply of certain nutrients, because your dogs already get them from their food, can make their health go haywire.